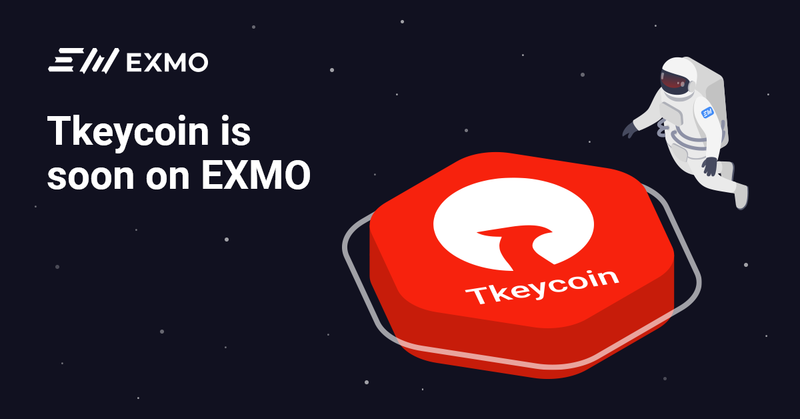 The EXMO cryptocurrency exchange is expanding its list of accessible trading instruments for active traders and announces the addition of the Tkeycoin (TKEY) cryptocurrency to its listing. The listing is scheduled for 1 of May 2019. Tkeycoin Platform - international money transfers, multi-currency wallets, secure online payments, world-leading cryptos statistics, cross-currency exchanges and more. The primary goal of the platform is to make operations with cryptocurrencies easier and more accessible.